As of March 2013 Michelle has written over 135 Knitting Designs, published Two Books, and at the time of publishing sells her work in over 96 shops across the US in 30 states, and in three countries. For a comprehensive list of retailers click here. 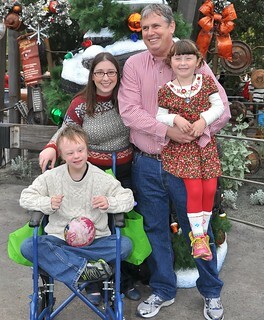 Michelle has an educational background in Physics, works as a knitting author, and is a wife and parent to two children. She recently adopted her nephew who is disabled and spends her time knitting, writing, and learning to parent a special needs child after the loss of her sister and brother in law in 2011. 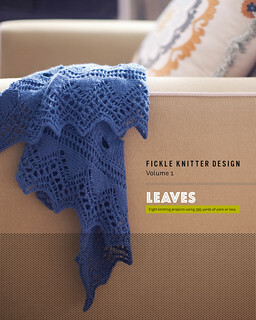 Fickle Knitter patterns specialize in designs that use one skein of luxury yarn. All Fickle Knitter patterns are tested and edited before self publishing. Wholesale inquiries are welcome, please use the Contact link in the top right for more information! Michelle has been knitting, blogging, designing, and maintaining this website since 2004.
visit the pattern shop, and ravelry.